When we were moving house a few months ago my husband and I never knew what new request a lawyer or estate agent would have every time we answered. We kept telling them that we don't know what we're doing, that we don't sell houses everyday but no one took our hand and guided us, and we felt lost. Sometimes I wish life came with maps. I wish that I could just go pick up the "Directions to your new home” map and I could just follow it there. Or when Xylon was going through treatment for cancer that it came with “How to make it through 18 chemos, a stem cell transplant and radiation” map. And I’m pretty sure my brother and sister-in-law wish they were handed a “How to raise your son” map when they left hospital with a baby in their arms. I'm sure you feel the same way sometimes. Maybe it's not with moving house maybe it is some medical thing or a problem with your child or what job to take. I love this verse because God doesn’t say I’ll tell you how to get there. I’m comforted by Isaiah 42:16 not because I know the “how’s” but because I won’t be alone. 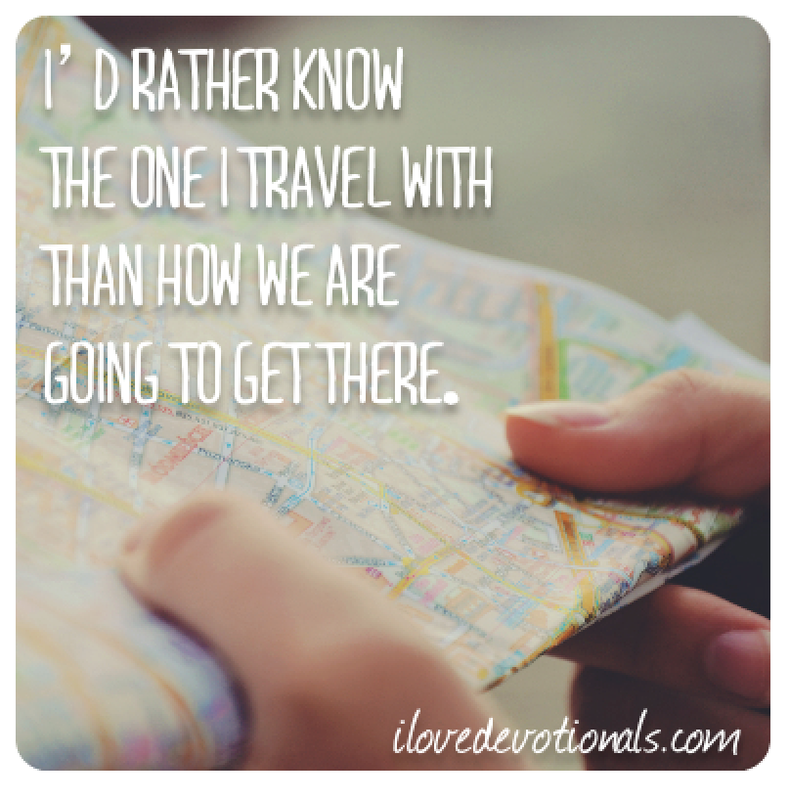 I’d rather know the One I travel with than how we are going to get there. Sometimes when I find myself saying, “God, just show me how to get to where you want me” I remind myself that he’s more interested in taking the hard journey with me than he is the destination. 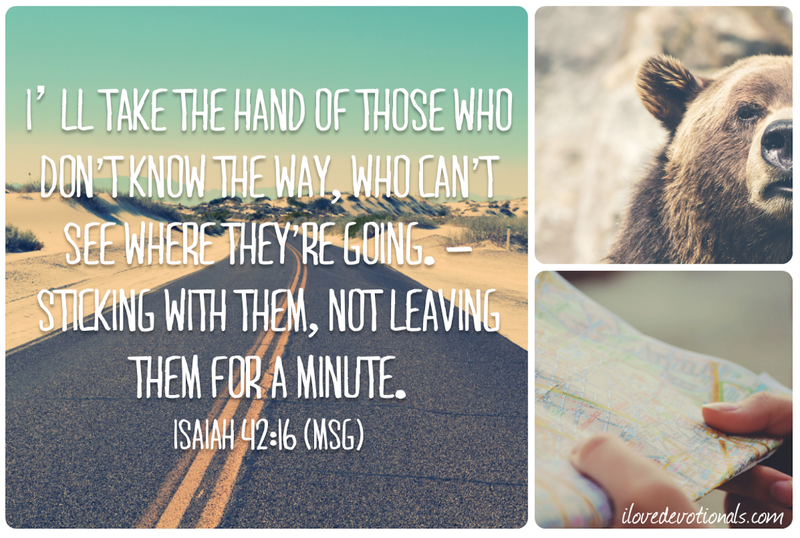 Prayer: Lord, help me to feel your hand in mine as we take this journey into the unknown. God, when I’m in unknown territory help me to hear your voice directing me. Amen. Please share this devotional on twitter by clicking here. I’d also love for you to connect with me on my Facebook, pinterest and twitter pages or if you're viewing this via email you can leave a comment about this post by clicking here.